ESPN's Andy Glockner for having still in the 'Should be In' category in his Drive to 65. With Lunardi having us a 5 seed (albeit in the West) and having beaten 6 teams that were once ranked in the top 25 (or were when we played them) including two BIG SEC road wins against UK and Rupp, how can we not be a lock? Someone shoot him an email, demanding answers. No 2 Nominee: Joakim Noah for being a jackass to Stallings. I nominate every "Vanderbilt fan" on this blog who picked Florida to beat us on Saturday. 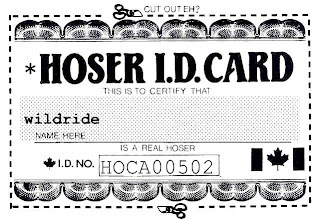 If you've got the gumption to do that then you best be prepared to be labeled a HOSER. Florida Guard Brandon Powell. Hey hose-head, you can't throw punches at fans. Santosh Venkataraman ("VU is a fraud as a 6 seed"), Bob Ryan ("VU is too white to win") and all the other Vandy haters of history. Seriously, though, it's gotta be Noah in my opinion.